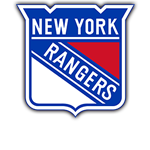 PORTLAND, ME – March 31, 2019 – The Mariners will get two key additions to their lineup Sunday afternoon, adding forward Greg Chase and defenseman Josh Wesley from the AHL’s Hartford Wolf Pack. Chase returns from loan and Wesley is assigned from Hartford for Sunday’s game. Chase is Maine’s leading goal scorer, with 22 goals on the season – 20 of which he has scored in a Mariners uniform. Acquired in a December deal with the Allen Americans, Chase has 36 points in 36 games as a Mariner. The Sherwood Park, Alberta native has split his pro career between the AHL and ECHL, and has been loaned to the Wolf Pack twice. With Hartford, the 24-year-old Chase has played in five games with no points and four penalty minutes. Wesley, a 22-year-old defenseman under contract with the Carolina Hurricanes, has also been up and down between the AHL and ECHL the last three seasons. Drafted by the Hurricanes in round four of the 2014 NHL Entry Draft, Wesley played nine games with the Charlotte Checkers (AHL) in 2016-17 and 48 games later that season with the ECHL’s Florida Everblades. After splitting the next two seasons between the two organizations, Wesley was loaned to Hartford on February 28th, 2019 as part of a trade that sent goaltender Dustin Tokarski from Hartford to Charlotte. In 108 career ECHL games, Wesley has 13 goals and 34 assists. The Mariners host the Adirondack Thunder this afternoon at the Cross Insurance Arena with a 3:00 PM puck drop. It’s a crucial game in the North Division playoff race, with the Mariners currently one point behind Brampton for fourth place and three behind idle Manchester for third. The Thunder can clinch a playoff spot with a win. A screening of D2: The Mighty Ducks will immediately follow today’s game on the video board, free for all fans who purchase tickets to the game. Tickets are available HERE or at the Trusted Choice Box Office inside the Cross Insurance Arena.